After browsing some custom themes on the Internet and trying them out, I decided that I need to make a custom one to suit my needs. I love variety so I included 16 gorgeous, HD backgrounds (resolution 1920 x 1080). I did not include standard resolution images because my system would load them by default instead of their HD counterparts. Created some nice custom main icons but left the others to the default ones (save for a few). 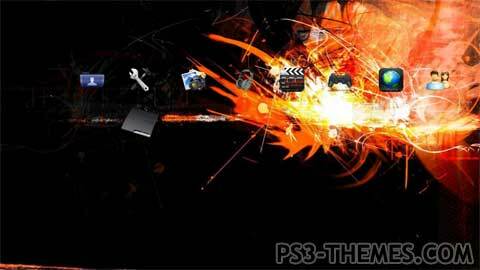 This theme was posted by PS3 Themes on May 24, 2011 at 2:10 pm, and is filed under Art/Graphics.You can leave a response or trackback from your own site. wow what a cuinsidence, the playstation console I made is in this theme, to prove it just go to rocketdock.com and search for playstation slim. dont worry im not mad.